On her 15th studio record, Melissa Etheridge presents her first original material since her 2014 album, This Is ME, following her critically acclaimed Stax tribute record, Memphis Rock and Soul. Produced by longtime collaborator John Shanks, The Medicine Show features some of her most honest songwriting to date, paired with beautiful instrumentation and her signature roaring guitar. 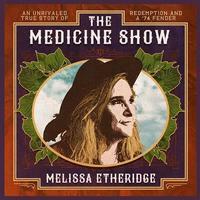 Not only topically relevant in 2019, The Medicine Show further solidifies Etheridge's in the current music scene and reminds us why Etheridge has remained one of America's favorite female singer-songwriters for more than two decades.